This entry was posted in Racing on March 13, 2013 by Steve Tilford. I was listening to NPR last night and there was a segment about how the FDA had issued a warning about taking azithromycin, known as Zithromax, Z-Pac, or Zmax. The warning says the it can cause a potentially fatal irregular heart rhythm in some patients. What I found interesting in the warning is that we, as athletes, are included in the at-risk group. Mainly because of low heart rates, but maybe also because of low levels of potassium or magnesium. The at-risk group includes people with low levels of potassium or magnesium, a slower-than-normal heart rate, or people who take certain drugs used to treat abnormal heart rhythms, or arrhythmias. This doesn’t surprise me in the least. 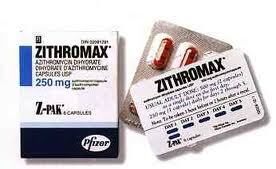 I’ve taken Zithromax a few times in my life and I refuse to take it now. It is commonly prescribed for strep throat. When I take Zithromax, it is something like a miracle pill. I go from not being able to swallow one minute and then a couple hours later I have no symptoms of the sickness. The problem is that I can’t pedal my bike at all for close to 3 weeks or longer. I’ve experienced this 2 or 3 times, enough that I avoid the drug at all costs. I’ve spoken to a few doctors about the issue and they told me that I was riding poorly because of the strep and not because of the antibiotics, but that isn’t true. I can be riding great, with a super sore, swollen throat, but as soon as I swallow the first Zithromax, I’m toast. I’m thinking now that the Zithromax causes some type of reaction to hearts, especially of athletes, who naturally have super slow heart rates. And it takes the better part of a month for it to “clear up”. Zithromax is the only antibiotic that is on my never to take list, but many antibiotics make me ride slow. I used to think that maybe it was a mental thing, but I’ve witnessed the same effects on Bromont. Sometimes out running in the country, he’ll rip up his soft underside and get an infection that covers a large portion of his body. I’ll be taking him around the block on his normal loop and then the day he is given the antibiotics, his running speed goes from 25 + mph to around 15 mph. He looks like he is taking the same strides, just like he is in molasses. And he has no idea that he is on antibiotics, so it can’t be psychosomatic. My counter observation of this is of Todd Wells. When I rode on the Specialized team with him, he always had a sinus, upper respiratory thing going, virtually the whole season. And nearly half the time he would be racing while taking antibiotics and was flying. I never understood how he could be riding so fast while on antibiotics because I was horrible while on them. Americans are always looking for the quick fix. And, of course, none of us like being sick, especially during the season. But, we need to try to start backing away from antibiotics as the first line of offense to illness. And, as athletes, we seriously need to avoid Zirthromax. It isn’t worth dying over. I enjoyed reading this post because I’ve used Zithromax so many times, but for my horse foals. (disclaimer: my info comes from my vet and my readings) My ranch has a Gram positive bacteria called Rhodococcus equi that affects the young foals. Now, I use Clarithromyacin. Where am I going with this? What I do think is interesting is Zithromax treats gram positive and Rhodococcus is considered to be in the gram positive yet, Clarithromyacin also treats gram negatives. The vet has mentioned several times that Rhodococcus will mutate and change so they keep changing the drug. Also, people with compromised immune systems can get Rhodococcus. Using Zithromax for humans for simple infections is what scares me because it is such a powerful drug! My daughter who is 18 months has been fighting a “drug resitant super bug”, C. Diff. (can’t spell the entire name from memory). Her system became overwelmed by it after a round of antibiotics for an ear infection. What a lesson we have learned. Now the doctor says he should never have treated the ear infection, but we had to fly that week and he thought her little ear drums might be damaged. The treatment has been a different antibiotic to weaken the C. Diff. and lots of probiotics. We did go to a naturopath, but that was worthless. She did a blood test that came back nagative for any food alergies, but then told us to remove egg, milk, and gluten from our diets, completely ignoring the tests saying that daughter had no reactions to these foods. I am happy that my daughter is getting better, and I will think twice about using antibiotics for anything, although we treated the C. Diff. w antibiotics…. But when is it time? If this is what is to come from overuse of antibiotics our children have a rough road ahead. Great post. Thank you. Your ‘athlete next door’ perspective might help more folks relate and listen up. This is definitely a good observation and echoes loads of personal and friends’ experiences from amateurs to high level athletes. Great article on tendon/joint injuries due to main stream antibiotics in the American XC Skier publication recently as well. So likely multiple downsides/effects from antibiotics than just performance and potential heart issues. 1) the fact that so many of us need antibiotics on regular (or seasonal) basis, while common, should not be considered normal. It is a symptom of some sort of weakness/deficiency and should be addressed as a high priority before you need the next round of antibiotics. 2) I want to expand a bit on who in fact might have ‘low levels of magnesium’: It takes 29 molecules of magnesium to digest 1 molecule of sugar. Considering that the recommended ‘healthy’ diet both for athletes and average folks is mostly carbs plus sugar (sugar may not be recommended by between all the race ‘nutrition’ out there and most (even healthy) snacks, you know that even without obvious desserts/sweets, we all get plenty of sugar on a daily basis), it seems quite plausible that most people are very deficient at least in magnesium and athletes even more so (as you pointed out), both due to sweating and regular if not daily ingestion of sweet race ‘nutrition’ and high-carb meals. It would be hard to balance this deficiency out with just eating magnesium high foods. I would bet most of us really need magnesium supplementation or significant (and non-mainstream) diet changes to address this issue. e carter: Sounds terrible about your daughter. I’m glad you found ways to get her better! Antibiotics do enormous damage to the micro biome (the term for a microbial population) of the human gut. And since much of your immune system is located in your gut, it is very comment to experience on-going health issues after a round or two of antibiotics. Dina’s correct: Anyone who finds themselves needing to take these drugs on a regular basis has serious imbalances. Furthermore, just by taking the drugs, they’re exacerbating these issues. This is not to say that antibiotics are not good medicine. But they are very, very powerful medicine, and should be used as such. Also, it’s interesting to note that about 75% of the antibiotics produced in this country are fed to livestock for the purposes of growth promotion and disease prevention. However, this practice breeds large quantities of drug-resistant genes that can insert themselves into other bacterium through a process known as lateral gene transfer. In other words, a good portion of the drug resistance we’re seeing in the human population actually originates in the animal population, just so the dominant meat industry can eke out a few percent more profit. Resistance to antibiotics is a HUGE global public health problem. Drug companies are getting out of the business as the business model does not make them much money (“take this pill for a little while then stop…”). When people feel better, they stop taking the full course of antibiotics so the bugs survive at less than lethal doses and, voila, the most resistant ones evolve. Most docs did NOT learn anything about microbiology/host/pathogen interactions in med school. Be wary of docs that dump a bunch of antibiotics. But you probably knew this anyway..
Its interesting that you bring this subject up Steve, i have tried to stir clear of anti-biotics at all costs for a while now. I have a Dutch training book written by Rudy Van Gijstel from the mid 1980s that states exactly what you are saying in todays posting. I guess I’m one of the lucky ones as I’ve never had any issues with them. This is a very fun post. In case you were wondering the reason for the heart warning is the QT interval prolongation (the time between when your ventricles contract and relax, electrically) if that gets to long your next heart beat can start when your heart is still recovering from the last beat. When your heart starts before it is ready boom arrhythmia and most likely a very bad one. I am not sure how much this would matter with a slow healthy heart rate but with people who have odd heart rhythms with the ratios of timing off already it is very bad news. Muscle weakness is defiantly a thing with many antibiotics. As much as people want to think we know what drugs do in the body we actually know very little. Some antibiotics have effects on muscles by decreasing the signal from your nerve to your muscle fiber so only some of the signal gets through so you have less strength. Also, watch out for Fluoroquinolones ( Ciprofloxacin, Levofloxacin, Ofloxacin, Norfloxacin) they can weaken tendons while you are on them and after for about a month. A pharmacist or doctor should tell you but they will not because let’s be honest most people would not put enough stress on their tendons for this to matter. Just in case people were interested. Antibiotics, in a war against the invading bug, will also wage war on the body! Steve….you are absolutely correct. All indicators point to Recovery, not effort,fighting or results. So…either avoid all the anibiotics and keep rolling. Or take them and alter your training and recovery for 30 days. Should be stronger at the end of the month vs. fighting what is natural….or chemical. But a predictable sequence of events. Wish you would have written this a week ago! Took my last pill from my Z Pak on Monday! J do feel much better. I road well last night for the 1st time in weeks. Still this is freaking me out a bit! Wow, I had no idea how many experienced doctors and researchers read this blog. We should really stop listening to people who have gone to school for 10+ years and just read this blog. 1st time commenter… I guess I am in the “Wells group”. Diagnosed with Strep last week. Started a Z pack on Saturday. Have ridden everyday since and feel fine. I definitely avoid antibiotics, but when you can’t swallow, something has to be done. I’m with Mike Rodose regarding altering your training when sick and on drugs. If you are taking antibiotics for an illness that would’ve prevented you from training normally, then you should not be training normally while on antibiotics, since supposedly you are taking them to get rid of the illness, rather than to enable further training while sick…right? Not to say that I haven’t used antibiotics to keep going with everyday training and work while sick before. I think most of us do it without realizing we are doing something totally counter productive and likely costly in the long term. It’s even in the work culture here to ‘tough it out’ and not take sick days. Too bad. Hope it will eventually change. But meanwhile, when you are sick, take the time off and be sick – it can be nice to have a break especially for your training and motivation! Plus, providing nutritional and rest support to your body to fight off an illness will likely make it stronger after the disease. Not a proven fact by any means, but it makes sense from sports perspective, you are stronger and better after a hard race where you have what you need nutrition and rest-wise…so why not your body and immune system too? I’ve been reading your blog for years. I bet I’ve taken no more than 5 courses of antibiotics in the last 20 years. That’s why one of the things that has always stood out in your writings with me are the number of times per year (3-5, I’d wager) you’d mention you were again taking a round of antibiotics for this or that malady. I hope what your heard on the broadcast causes you to reevaluate your usage of anitbiotics in general. Antibiotics are way overused in this country. Thanks to Dina for her thoughts on what it takes to digest sugar. I’m going to reevaluate sugar consumption myself. I’ve been suplementing with magnesium, potassium, etc. regulary and not being much concerned with salt intake because of my high rate of sweat while riding because of my problems in the past with depleting electrolytes. However, I didn’t know about the role sugar can play in that equation too. I know I consume way more sugar than I should. Youre so cool! I dont suppose Ive read anything like this prior to. So nice to discover somebody with some original thoughts on this subject. realy thank you for starting this up. this site is something which is needed on the internet, an individual with a small originality. useful job for bringing something new to the web!